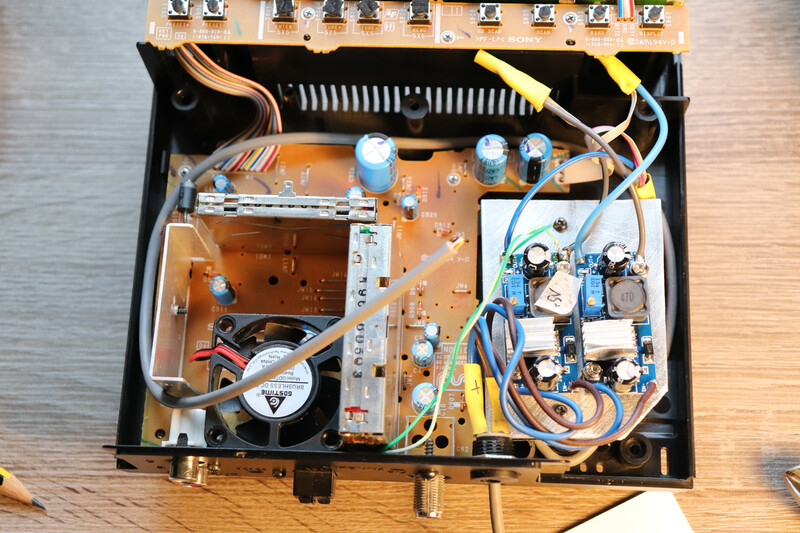 A little over two weeks ago I converted my Sony XDR-F1HD FM/AM tuner for 12V operation. A few things have changed since then. Let me tell you about them and perhaps help with some issues. 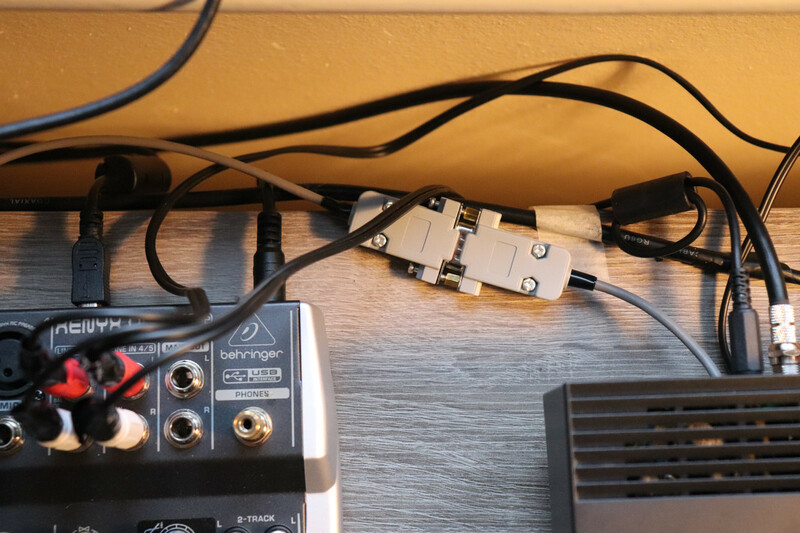 When taking out the original PSU from the XDR I used 12V Canon power supply that was available at home. 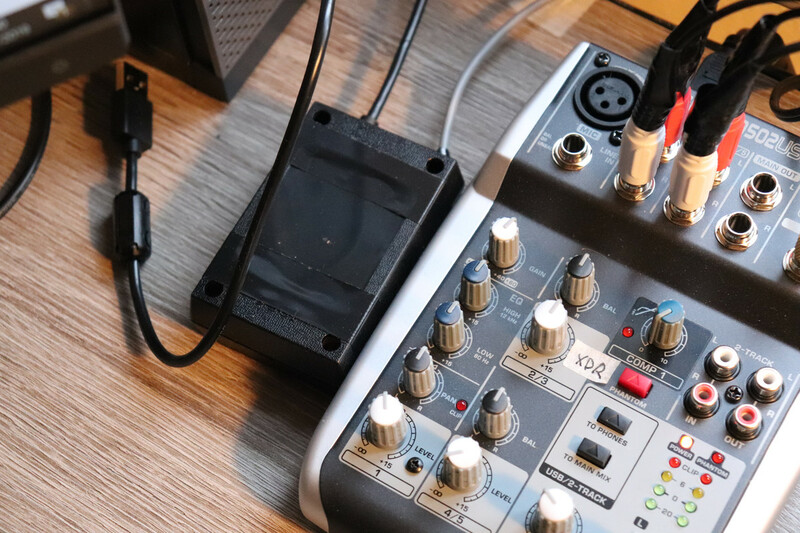 Everything was fine, however, the Canon adapter was capable to generate current up to 1.5A, which is enough to run Sony XDR without a cooling fan. In fact, I installed a small cooling fan that was feed from +5.2V (silent colling) but the fan wasn’t able to start when the tuner was plugged in. I had to swirl the blades of the fan to get it running. Occasionally, the fan will start but it will need an exact level (must be attached exactly horizontally to reduce the force of moving it) and any movement on the sides will prevent it from running. 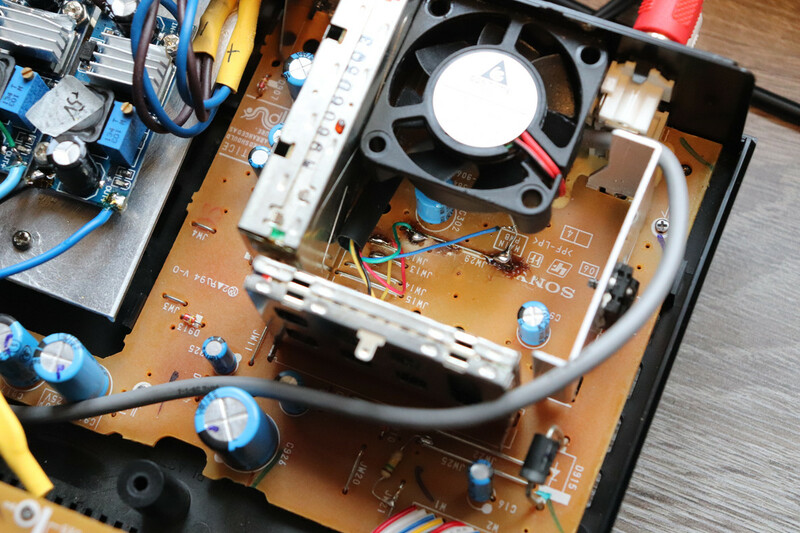 Generally, cooling fans need to be run from a specified voltage. 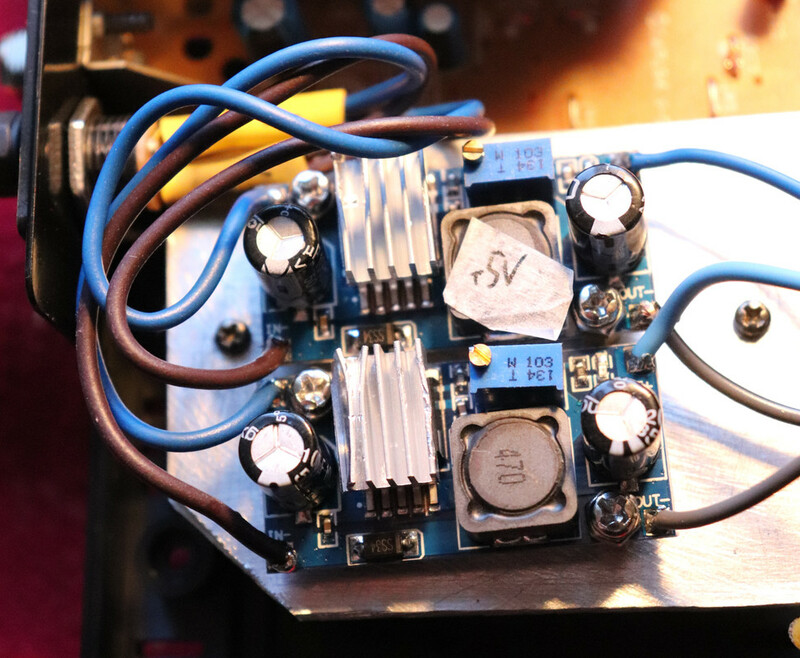 Some 12V fans will run on a lower voltage but not all. There’s also a factor that we need to consider regarding fans. On the start, the cooling fan will drain more current to get the blades moving. When it’s running the current will drop. I feed the fan from +V5.2 to reduce the speed and that line was already draining little over 1.0A of a current leaving not enough to get the fun running. The only option to get the 12V fan running from the +5.2V line was to increase the PSU current, which I did. I managed to find a cheap 12V, 3.0A Asus PSU on eBay (approx. £6.00 + P&P) and switch the plug. This was a good idea. The fan was running fine and there were no issues. I noticed a very small improvement. I didn’t measure the temperature of the tuner, but there was a very small difference between having a silent fan and not having the fan at all. Later I decided that I will be benefitting more from a faster fan speed. But let me get to this. Another thing that I decided to do was install a small heatsink to LM2596S step-down regulators. These were running hot too. 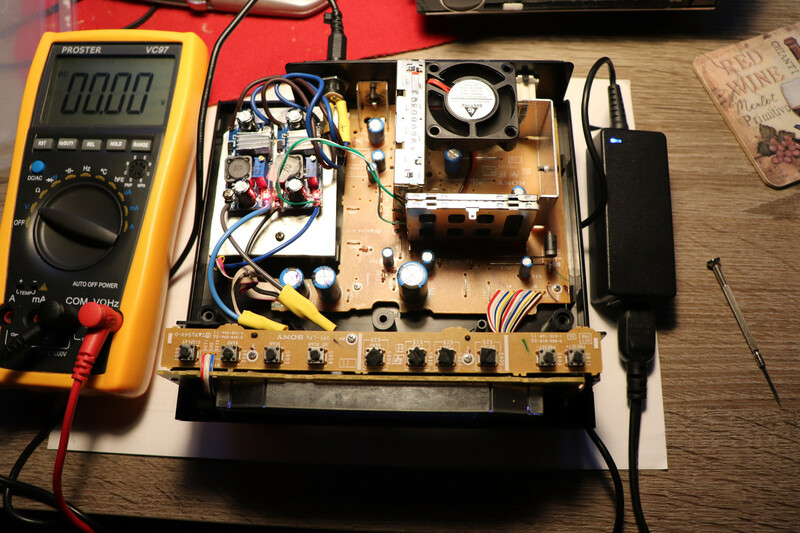 Although the regulators were much cooler than DSP chip the additional heat was generated inside the tuner. I purchased small aluminium heatsink and installed. This is not necessary but will help in drain the heat much faster. Prior my XDR purchase I was watching Konrad’s FM DX videos on YouTube and I noticed that he can scan the band without muting between frequencies. Other DX-ers that performed Konrad mod still have muting. So I was wondering if there is a way to remove the muting which will speed up the scan, which is very important during DX conditions. 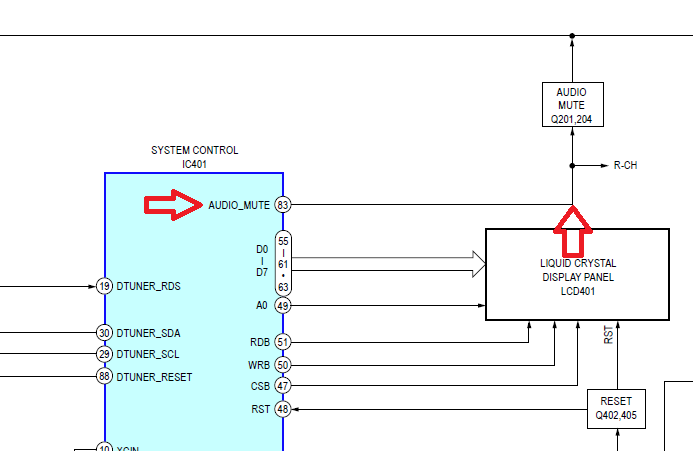 I opened service manual for Sony XDR-F1HD and I was searching for muting line. The next step was the famous XDR-GTK Konrad mod. I eventually did it but this was not an easy task regarding the software side. Without Konrad and HyperDX help I doubt I would be able to do it on my own. Prior to performing the mod, I had to ask myself if I would like to have Seeeduino board installed inside the tuner or perhaps the external option is better? I go for the latter option. The board will take additional space inside the tuner and actually, I don’t have any additional benefits having it inside the tuner apart from the visual side. 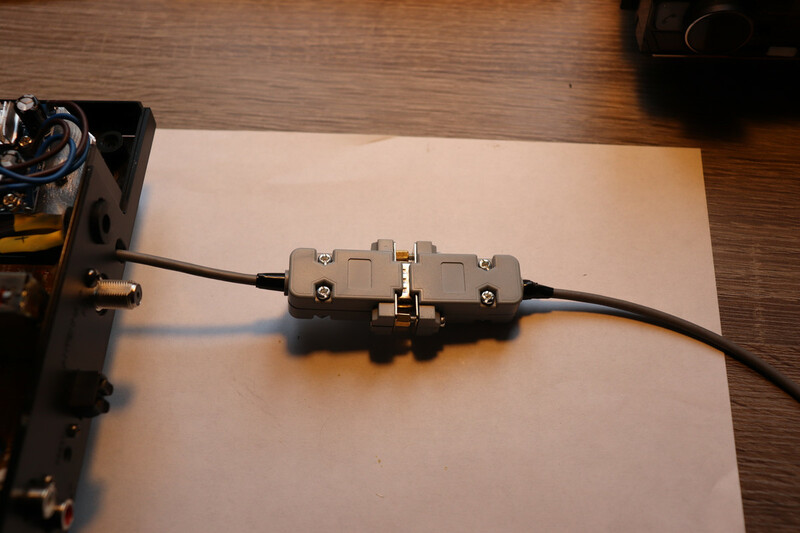 I began to ordering parts, as I was fairly confident that I can do it myself. 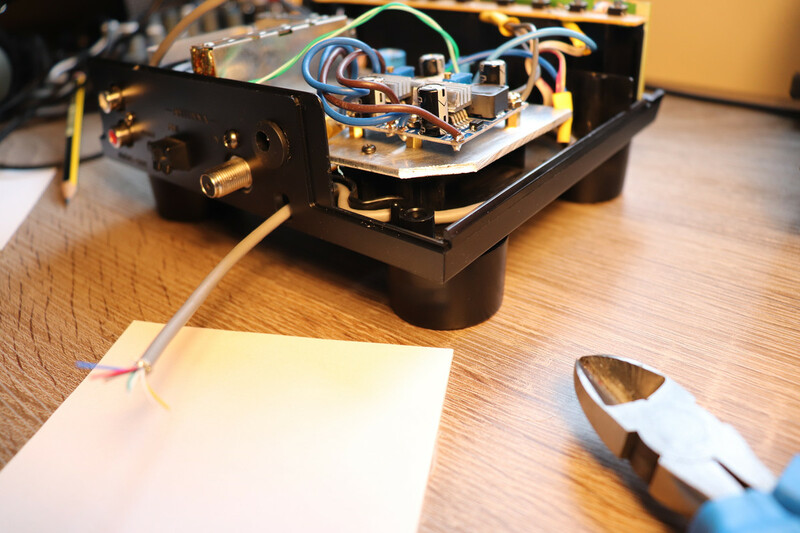 Although I am not working as a qualified electronic engineer, however, I do have the electronic background and service/repair things are not new for me. I was afraid rather the software side as this is the area where I am not familiar with. 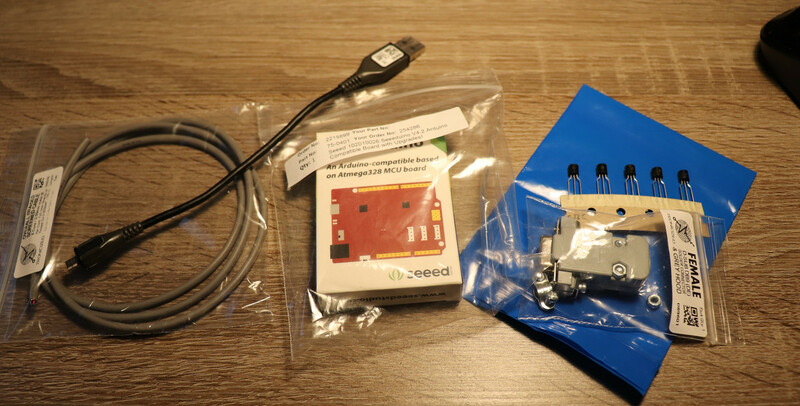 I purchased Seeeduino V4.2 board, multicore screened cable, RS232 D-SUB connectors, resistors, transistors and a mini-USB lead. 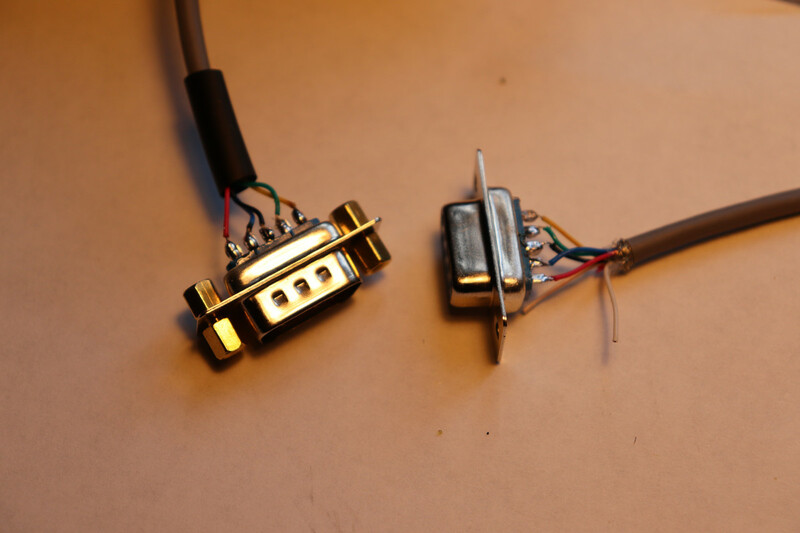 I decided to use an existing hole in XDR from power lead to connect the Seeeduino board with the tuner. I start to solder the connections and put all this stuff together. There is a very little space inside the tuner so no quick job this time! Photos below. Once everything was done I plugged in the Seeeduino board to the PC and followed Konrad’s instructions. Instead of XDR screen going blank mine was blinking! At first, I thought BS170 gone, so I soldered another one. Nothing has changed. 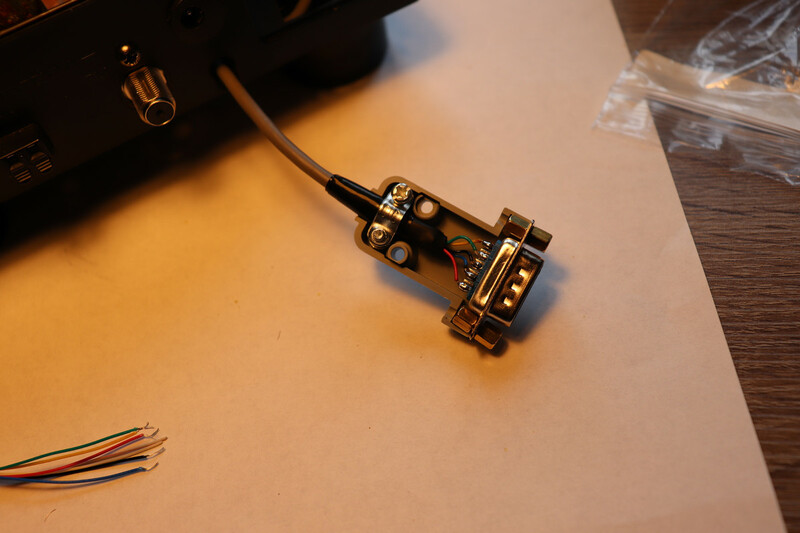 I make sure there was no short, incorrect solder joints or lack of continuity. I had enough that day, to be honest. I repeat Konrad’s procedures several times with no effect. Eventually, I got to the point when my Seeeduino board wasn’t the correct version, but I unsoldered everything and I sent an email to Konrad about my issue. The following day I received an email from Konrad explaining everything. 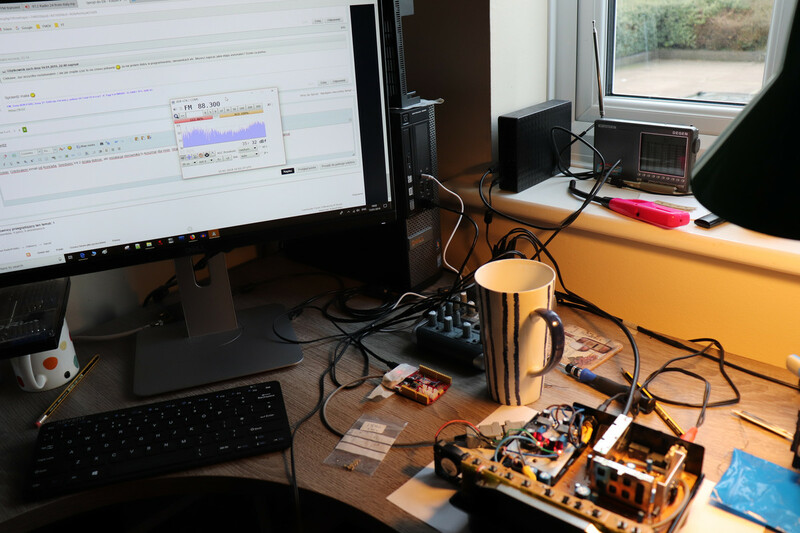 Apparently, the Seeeduino V4.2 board has a different USB controller and I was unable to program the microprocessor in it using Konrad’s instructions. I believe these were written for Seeeduino V3.0? The procedure for V4.2 board is completely different. 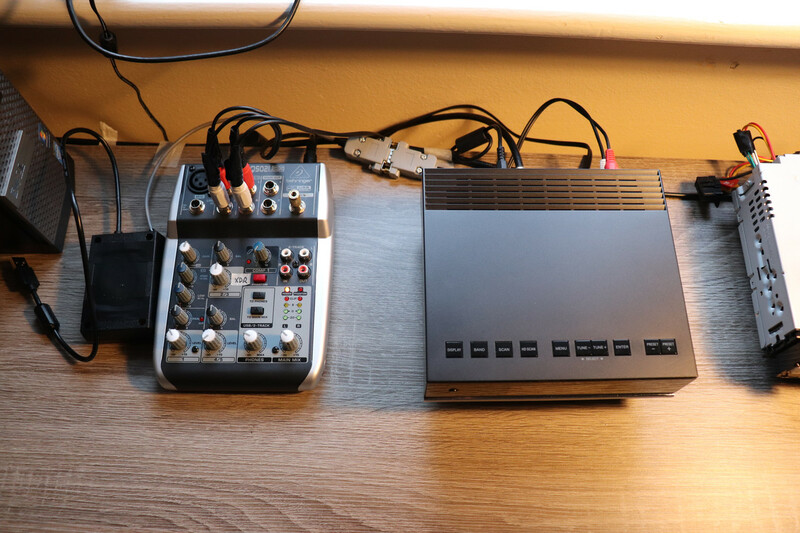 I also contact another Polish DX-er, HyperDX, who recently get Sony XDR-F1HD and had trouble to install the drivers. He messaged me the entire procedure, which is rather complicated and it has to be done step by step. All in all, everything went well and the tuner is now controlled by the PC. Thanks to RS232 connection I can also use the tuner without the mod. The Seeeduino board is placed in an external ABS plastic box. I the beginning of this post I mentioned that I would benefit from a faster speed fan. That’s is very true. After Konrad’s mod, I switched cooling fan for 10V operation. The fan is running loud but the tuner remains almost cold no matter how long it running. This is a better option for a longer electronic components life span. © 2017-2019 fmdx.info // WordPress Theme: blogeasy by ThemesPoint.